This Welcome Door Wall Plaque is ideal for the entrance into your home. 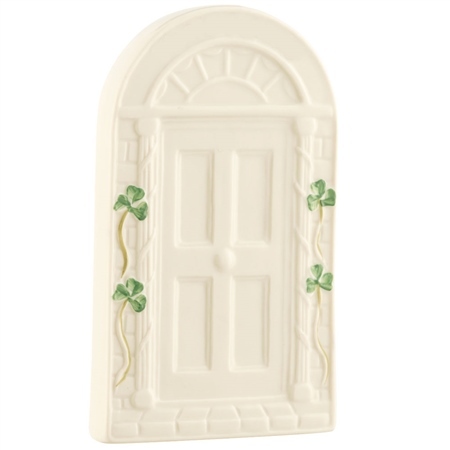 Filled with Irish heritage, hand painted shamrocks and a welcome message of your choice, this will greet visitors as they walk into your home and it is sure to put a smile on their face. Normally, this piece is personalised with the family surname. It is displayed at an angle above the door. Please allow time for this item to be personalised by hand and shipped from Ireland. 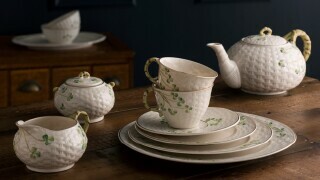 Email websales@belleek.ie with any queries. 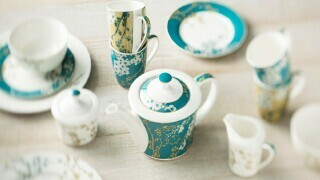 If a colour is not chosen at the time of purchase, we will use the most popular colour per piece. 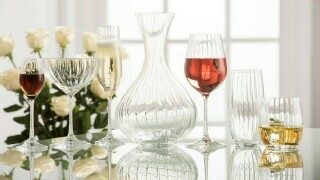 All crystal items that are inscribed are done from Galway Irish Crystal and will ship direct from Co Galway Ireland. Was very pleased with my purchase and the personalised engraving. Made a lovely housewarming gift.